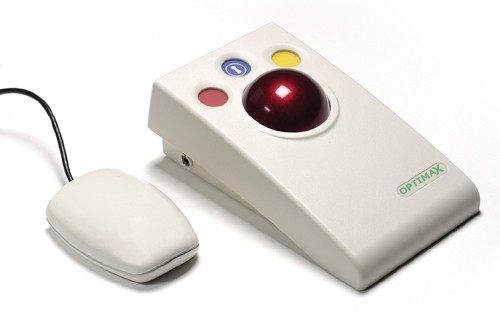 With an operating range in excess of 10 metres the Optimax Trackball is ideally suited for use in team/group sessions, or classroom settings, to ensure the participation of all. 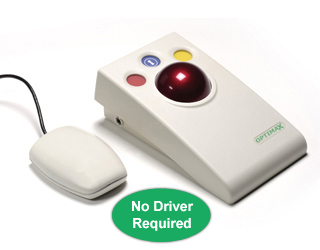 Lightweight and robustly contructed with no mechanical wearing parts, the Optimax Trackball can be used as either a desktop or hand-held unit. Optical technology ensures precise cursor control and silky-smooth ball movement, and the bi-directional radio link provides interference free operation. State of the art radio link with an interference free operating range exceeding 10 metres. Uses 2.4GHz global, licence-free ISM radio band. Large free-running ball requiring only the lightest touch. Low profile providing a natural hand rest for comfortable operation.